The quote above was forwarded to me by Ma’am Marjorie Evasco a couple of weeks ago. It got me thinking about pursuing certain non-academic, “isms”-deprived thoughts on poetry that I’ve been tinkering with in the past few months, beginning with that longish essay on Lorca’s Duende some entries back. This is likewise a rumination of sorts on ayer's and /spin's discussion on the I. Warning: terribly personal and unadulterated ramblings below. I think the great challenge of contemporary literature is to “de-familiarize,” to look at the commonplace in a different light. Experimentation is what the artist can do, at best. In the end, it is never really about saying something new and unique and invented; it’s about saying something familiar, something recognizable. Creative-ness, not creation. And when it comes to poetry, this works oftentimes in terms of manipulations with language, as, I would think, it works for the visual artist tinkering with strokes, hues, media. Ultimately, subject matter overrules craft. While art is phrased side-by-side with craft, it is distinctively not craft. This is, of course, not a matter of dilemma or ambivalence, but of a collective “human” understanding that art is impossible to define denotatively. Few other concepts can best describe our humanity more than art appreciation does—simply because art detests the sure and the factual. Critics of certain critical modes would always fall back on the intellectual (re: the tangible, what’s there). The product, the piece, is supposed to stand on its own, evolved two feet, with the artist dead. But the I in poetry and its willingness to transform to the We or the Us, has always been an intertwining principle both in the writing of and reading of poetry. Without the I’s presence and the writer's and reader’s recognition of the process it needs to follow toward the universal and the human, no poet in history deserves any praise or recognition—because the point of all poetry, if this perspective is to be championed, is to simply be: academic and intellectual, "virtually" devoid of audience, completely anonymous, a news report that’s never to see print. The I must endure; there must always be the resonating voice (more on this later) of the poet hovering above the printed poem. Not to say that this should be taken literally to funnel directly to the poet—worse, to mean that the poet is to be given free rein to write anything he or she pleases for reasons often used by most aspiring artists to validate their work (i.e., the sheer need to express; to achieve fame and “immortality”; and to channel a commentary or forward an agenda). But methinks poetry should never be a "planned" vehicle for propaganda. Some writer I was introduced to just a few days ago, upon hearing my name, said: “Ah, yes, I know you; you’re that Americanized poet, the one who writes in English. Let’s talk about that some time.” I just smiled back politely, saying, yes, that’s me, and agreed to talk about it soon. The funny thing about it is how quickly he summarily labeled me as “Americanized” just because I don’t write in my native tongue. Writing in English has never been a political decision for me; it is simply a preference that does not seek to (and hopefully shouldn’t) undermine other Filipino poets, most especially those writing in Filipino. If anything, the fact that many local poets are now gaining recognition for poetry in English may, in itself, be considered as a subversive act of “conquering the language” of the oppressors. Personally, I value more the craft and the discipline that comes with the learning—the training, if you will. And I don’t have enough of that in as far as writing poetry in Filipino goes. There are a lot of good poets out there trained for that. May isawan pala dito sa loob. "manok ba 'yan o baboy?" umiling lang ang pawisang tindera. "ba't puro pahalang ang salansan ng mga bituka?" Many misconstrue this to mean that if a poem is for a good cause, it is good poetry. It also implies that the poet does not matter after the work is done. 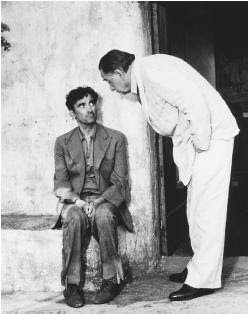 The context of the scene is that of the postman Mario insisting that Neruda write a poem for Matilde, the woman Mario is obsessed with. The paradox here (outside the lame romantic context of that scene) is that while it states that craft and the poet are both not important, it subtly footnotes that the work itself may likewise be unimportant. What’s problematic about this is that it reduces the duty of the poet to that of instigator, whose “pre-meditated message” matters above all else, whose craft is excused from criticism because of the “honorable cause” the poem is pursuing. Furthermore, it permits poetry a pure, conscious effort to so-quickly mean. Whenever this happens, not only is the I lost; the poem’s artfulness is, as well. This I think equates to nothing more than a deliberate exploitation of poetry, a by-passing of the discipline. Poetry then becomes mere rhetoric, the stuff of speech-writers, everything poetry stands against. In the end, this whole idea posits that poems should simply be literal—discarding heightened language, the elements of literature, the poet’s style. All in all, a dismissing of craft. And while I said earlier that ultimately, subject matter does overrule craft, the crystallizing of subject matter more often than not happens during the process of writing the poem, not before. Words are not inert images; with the imagining and re-imagining of syntax, the putting together of words, a line, an entire stanza, come the “charging,” the elevation of words to symbolism, the discovery of subject matter. The common belief is that art that becomes popular is not anymore art. Art, in a way, struggles with the dilemma between popularity and obscurity. Some therefore think that for art to retain its “artfulness,” it must preserve its so-called integrity by being difficult and snobbishly un-popular. In contrast, there’s that highly democratic (that phrase again) school of thought that believes that the message should cascade down to the masses. I have nothing against this latter ideal; everyone is and should be a possible reader. In the middle of the two is the medium, what McLuhan years back insisted to be, in itself, the message. Yet I am reluctant to think about poetry this way. A poem can be totally imagined or forwardly confessional, but the point is still the process the poet follows and disciplines himself for in order to arrive at an insight. The respect he or she gets or loses in the risk of “publishing” a poem does not point to the work per se, but to the ability of the poet to master craft and transcend it in a way that the urgency and immediacy of the subject matter overrides everything else. Thus, one who reads poetry purely for technique is one missing the humanizing possibility of all literature, the idea of making someone moved, then aware, then ready to act if he then feels he has to. This is not to say that real experience is not important. Experiences will guide the poet’s diction, imagery, tone, whether he or she wants it to or not. Even the re-imagining of a poem is an aspect of experience. For example, it might not seem believable if a Filipino poet uses a Baobab tree or snow in a poem set in some local province. But he or she might be able to write sincerely about it because he or she has seen it on TV, has read about it in a book, etc. While I am not one to indulge this idea, I think it is permissible. To paraphrase Eric Gamalinda, memory is an empire. And if I may add, so is dreaming. And so is the imagining. Any poet’s wanderlust into his or her medium, assuming that he or she is dextrose-serious about writing poetry, is largely geared toward the arrival at that distinct style. Whenever one “intellectually” appreciates a painting, music, or a poem, he or she is recognizing style and technique. Certain paradigms, however, treat style as a mere ornament, the artist’s so-called “conceit”. Ben Yagoda’s recent book, Style and the Voice in Writing lambasts the clinical-ness of that Strunk and White book (the title of which is a paradox in itself), The Elements of Style, insisting instead on the distinctiveness of the author, permitting all the scholarship built around a famous writer’s works—that particular and individual voice that makes a Hemingway story Hemingway-ish or a Kafka novel, well, Kafkaesque. This may be true in most prose, but then I still believe that the I in poetry is not necessarily the poet. So while critics and academics can opt to focus on the form, the poet’s context, or the over-arcing theme of a poem, the I in the poem is still not fully addressed. I believe it is this faceless, elusive I that channels all that which is familiar and human in poetry. The poet must rely on aspects of craft—utterances, imagery, tone, diction, etc.,—to allow the I to emerge. But the poet must learn how not to intrude upon the poem by peppering it with angst, by pontificating, or by consciously using it as a tool for an agenda. In the end, the I must transcend the author and transform into the voice. At best, the I should then be able to tell a good, honest story, one that’s tangential to, approaches obliquely, and de-familiarizes the discovered subject matter. It may well end up being about the poet himself, an imagined scenario, some place, a concept. But ultimately it must be the I’s humanity that persists and presides, during that moment of brilliance, that which is probably passing yet ringing true: over all the experimentation, past the mastery of craft, beyond the now liberated, selfless, and mortal poet. Still that familiar, elusive, but enduring I.